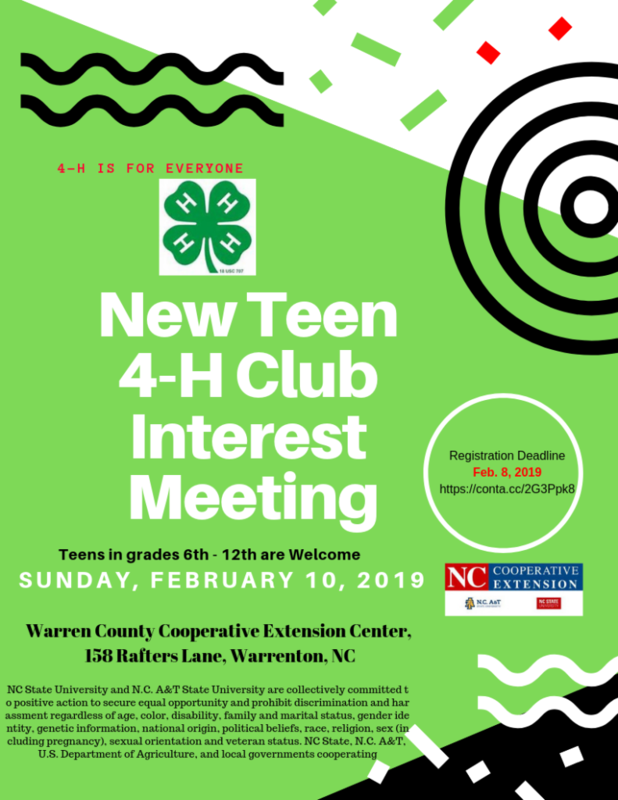 Teens from grades 6 to 12 are welcome. For more details, contact N.C. Cooperative Extension, Warren County Center.